Race car driver, Bobby Labonte, was born on May 8, 1964 in Corpus Christi, Texas. Labonte drives the #43 Cheerios Dodge Charger for the Petty Enterprises NASCAR Racing Team in the Sprint Cup Series and the #21 Team Realtree, Prilosec OTC Chevrolet Monte Carlo for Richard Childress Racing in the Nationwide Series. During the mid-1990s, he was diagnosed with Graves Disease. He currently resides in Trinity, North Carolina. 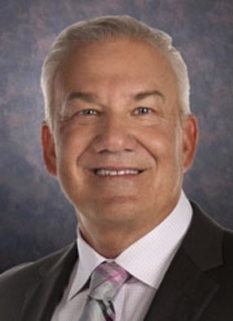 He is married to Donna and they have two children, Robert Tyler and Madison. He, and his older brother, Terry Labonte (who was also a prominent NASCAR driver, until he retired at the end of the 2006 season) are the only brothers to have both won the championship in NASCAR's top series. He is also the uncle of former Nationwide Series winner Justin Labonte. 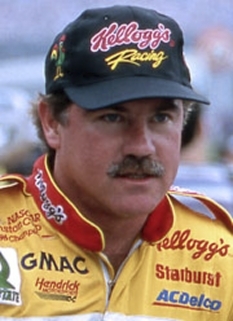 As of 2007, Bobby Labonte is the only driver to have won both the NASCAR Sprint Cup championship (2000) and the NASCAR Nationwide Series championship (1991). He also won the IROC title in 2001. 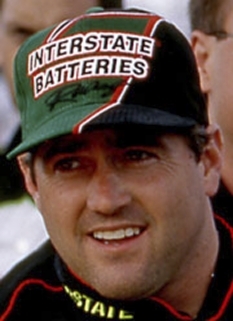 In 1987, Labonte won twelve races at Caraway Speedway, clinching the track championship, in addition to working for Jay Hedgecock. 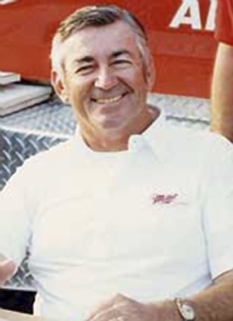 The following season, he competed at Concord Motorsports Park, winning six times, and ran six more Busch races, finishing 16th at Darlington Raceway. The next season, he ran seven races and had his first top-five finish at North Carolina Speedway. He had two more top-tens that year. By 1990, Labonte had finally earned enough money to race in the Busch Series full-time. He founded his own team, and drove a Slim Jim sponsored #44 Oldsmobile. He was successful, winning two poles (both at Bristol Motor Speedway), scoring six top-5s, and ten top-10s. He ended up finishing fourth in the standings and was also voted the Busch Series' "Most Popular Driver". Next season, he continued his second-division success by winning the NASCAR Busch Series championship with two wins, 10 top-five and 21 top-10 finishes. He also won his first Busch Series race, at Bristol, then won again at Indianapolis Raceway Park in August. 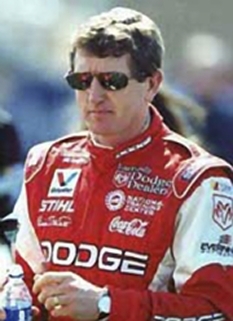 In addition to his Busch Series schedule, he made two Winston Cup starts in a Bobby Labonte Racing car at Dover International Speedway and Michigan International Speedway, finishing 34th and 38th, respectively. The following season, 1992, Labonte continued racing in the Busch Series. 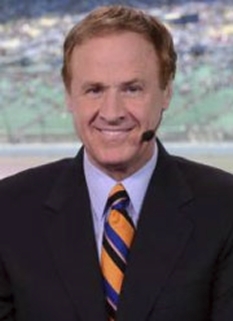 His season was a successful one, and he ended up winning three races (at Lanier, Hickory, and Martinsville speedways respectively), but lost the Busch championship to Joe Nemechek by three points. That championship finish is, to date, the closest finish in either Sprint Cup, Nationwide, or Craftsman Truck Series history. In 1993, Labonte was called up by Bill Davis Racing to drive in the Winston Cup Series. He signed a contract to drive the #22 Maxwell House Ford Thunderbird. In his rookie season, he won his first pole at Richmond International Raceway, collected one top-five and two top-tens, and finished 19th in points. He was also second place behind Jeff Gordon for Rookie of the Year honors. He also competed in two Busch Series races, winning a pole and finishing 2nd and 24th respectively. Also, Labonte continued to operate his main Busch Series team, hiring David Green to drive for him. Green finished third in points for Bobby Labonte Racing. In his inaugural season in the #43, Labonte collected 3 top-5's and 8 top-10s. His top-5s included an impressive run at the Martinsville Speedway where he finished 3rd after being in contention for the win much of the day. He ended up finishing 21st in the points standings, three spots better than in 2005. Bobby Labonte began the 2007 season with a 21st place finish in the Daytona 500, after avoiding the many accidents the race had. Bobby won the Busch Series race at Talladega Speedway in April 2007, edging Tony Stewart to the line in a thrilling finish. This was his first Busch Series win since 1998. 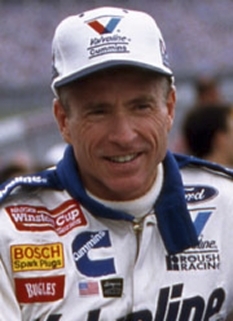 Bobby would end the year with no top-fives and only three top-ten finishes, but due to a more consistent season, he finished in 18th place in the standings, a three-position improvement over 2006. In the off season following the 2007 season, Bobby Labonte agreed to a 15 race contract to drive the # 21 chevrolet for Richard Childress Racing in the NASCAR Nationwide Series for 2008. RCR's No. 21 team earned six victories in 2007 with driver Kevin Harvick, and has earned two of the organization's four series championships. In November of 2007, Labonte formed a full-service marketing agency,Breaking Limits. DISCLAIMER: PFP Sports Talent Agency does not claim to represent itself as the exclusive agent for Bobby Labonte. PFP Sports Talent Agency is a booking agency that represents organizations seeking to hire pro athletes and sports personalities such as Bobby Labonte for speaking engagements, personal appearances, product endorsements and corporate entertainment. Fees on this website are estimates and are intended only as a guideline. Exact fees are determined by a number of factors, including the location of event, the talent’s schedule, requested duties and supply and demand. PFP Sports Talent Agency makes no guarantees to the accuracy of information found on this website and does not warrant that any information or representations contained on this website will be accurate or free from errors. We are often asked how can I find out who is Bobby Labonte's agent? To find Bobby Labonte appearance fees and booking agent details, you can contact the agent, representative or manager through PFP Sports Talent Agency for speaking fee costs and availability. PFP Sports Talent Agency can help your company choose the ideal sports personality for your next marketing campaign. To hire Bobby Labonte for an appearance, speaking event or endorsement, contact Bobby Labonte's booking agent for more information.